The long career of Stan Wemyss ranged from South Pacific skirmishes to Māori legends, and gleaming refrigerators. 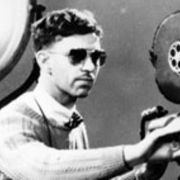 Winner of an MBE after getting caught up in combat in Bougainville as a National Film Unit cameraman, Wemyss later spent many years with commercials company Peach Wemyss. He also produced pioneering te reo TV drama Uenuku.